When life gives you lemons, simplify with software! ClientRunner’s Restoration Management Software is designed to provide contractors with the maximum level of efficiency. By combining powerful tools, such as a robust scheduling system, contact management, job management, equipment tracking, and so much more, contractors are able to immediately sweeten the state of their current workflow! Here are some of the primary pain points that ClientRunner software overcomes when the heat is on. Having a centralized office schedule can be helpful to keep the team on the same page when it comes to knowing the daily work to be performed, but having a single calendar in the office is extremely limiting. ClientRunner’s Restoration Management Software offers a web-based scheduling system, similar to Microsoft Outlook or Google Calendar, which enables all crews to view detailed information as to their scheduled events – from any device, at any time of day. Such a system doesn’t require a visit or a phone call to the office for a reminder or to check in. Give your employees more insight and direction everywhere they go with a robust software scheduling system. Filing cabinets and associated job folders are dead. They take up unnecessary space, they are cumbersome to manage or are not sufficiently updated, they do not provide any reasonable security for filed data, and much like an office-based scheduling system there is no efficient way to broadcast the detailed job information easily to all employees involved in the job. Spreadsheet tracking for job management is much the same – while spreadsheet systems have an enormous benefit in reporting data, you cannot build in the level of automation necessary to effectively manage your workflow. Technology is booming today, and there are much better ways to manage general and sensitive data. ClientRunner’s Restoration Management Software is often intuitively designed similar to a filing system, allowing users to manage a list of jobs and data, such as general job information, job notes, photos and documents, financial data, and more. What’s more, these systems allow users to lock down sensitive information if necessary, keeping it on a “need to know” basis for enhanced security. Finally, ClientRunner’s Restoration Management Software systems are accessible anytime, anywhere from any device that can access the internet (and even offline when using a supported App!). You will never again worry about losing job data or misplacing a job file, managing a complicated filing system, limiting access to important job information or other related concerns that tend to slow down job progress. Feel good about going paperless and enhance your job management process today! 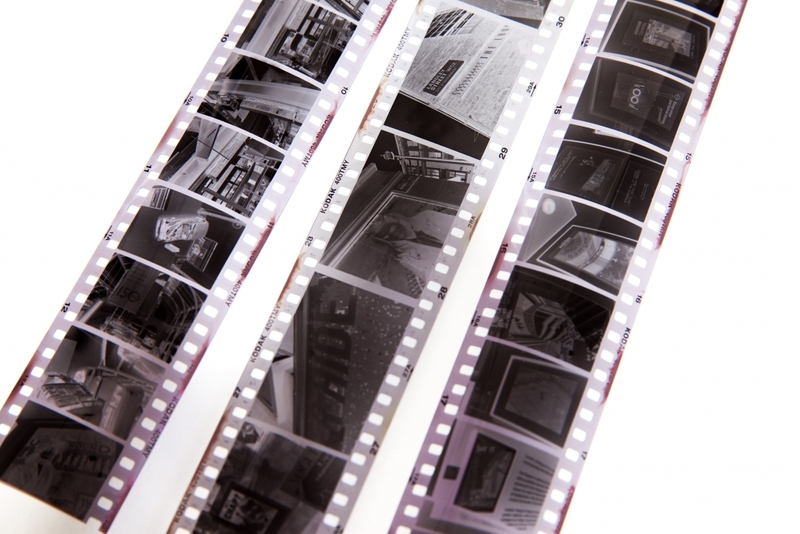 If you have been in the industry over 10 years, you likely remember the lengthy process of developing film to add to a job file after taking pictures on a job. Not only did it add to your job expense, but in some cases the process could take days before you had results. With the advancement of digital cameras, you finally had more immediate results and better quality assurance! But the downside was the process of connecting your camera to the computer to download the pictures – and ultimately the challenge was finding an easy way to share pictures with all individuals involved on the job – employees, property owner, adjuster, or otherwise. Today, these stumbling blocks have been removed with the advancement of ClientRunner’s Restoration Management Software. Many web-based systems or Apps allow the user to open a job record and instantly take photos using their device, which save immediately to the appropriate job file. What used to take minutes, hours or days now takes only seconds to complete, and with a more organized process to boot! A picture is worth a thousand words, and you’ll have plenty of positive things to say about the time savings ClientRunner software provides when it comes to documenting job photos. Fortunately for you, ClientRunner’s Restoration Management Software has that covered too. Easily create To Do reminders of any important task that is weighing on your mind – you simply set it, forget it, and wait for the system reminder. Not only that, but scheduled events, marketing activities and more can also set up reminders so that your system is working for you, with a fully de-cluttered workstation to help remind you of “the good old days” – those days being today. Never forget a task or event again with ClientRunner’s Restoration Management Software. These are just a few of many ways that software can simplify your life on a daily basis. ClientRunner Software has been fully designed around the daily workflow of the contractors that actually use the system and provides a tremendous benefit in maximizing workflow efficiency. Stressing over the lemons in your workflow process? Simplify with ClientRunner’s Restoration Management Software today. Cheers! Learn More about how Restoration Management Software can simplify your workflow on our website!